I admit this is not the perfect liturgical time to review this book: we just celebrated the Nativity, and we celebrate the Holy Transfiguration on August 6. But as some of you know, this is my most favorite Christian feast, and I often read about it. 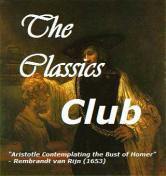 As I had already read some good books by Andreopoulos, I wanted to try this one. 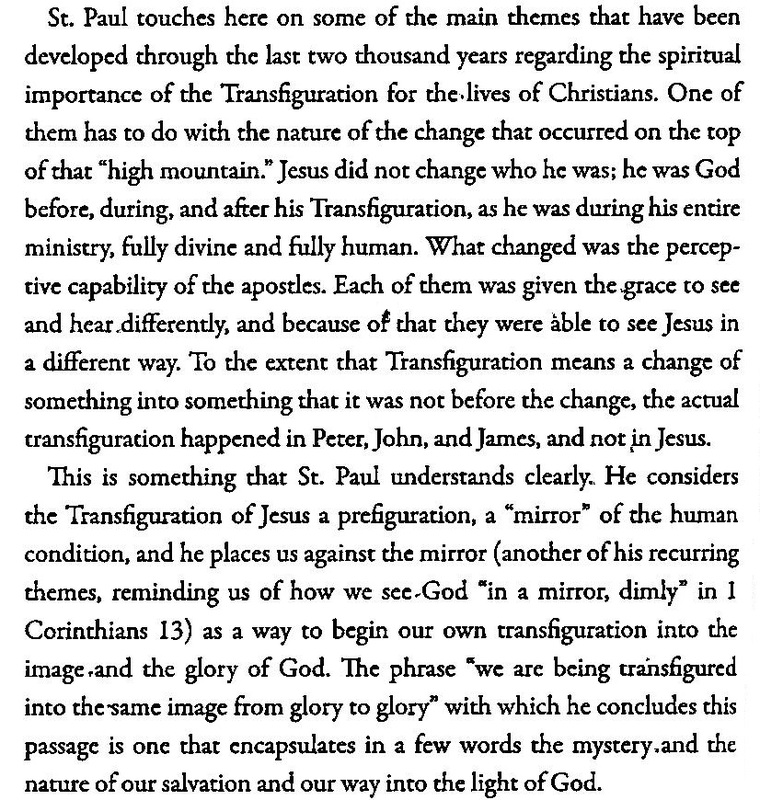 I would say that This is My Beloved Son: The Transfiguration of Christ is a more spiritual and more accessible version of his masterpiece Metamorphosis: The Transfiguration in Byzantine Theology And Iconography, about which I talked here briefly in my younger days of book blogging. This previous book will have more appeal to scholars, and I did find it extremely nurturing spiritually speaking, but it may be more difficult for some readers. The smaller volume I am presenting today does not go as deep, according to my tastes, but I did find some gems here and there. 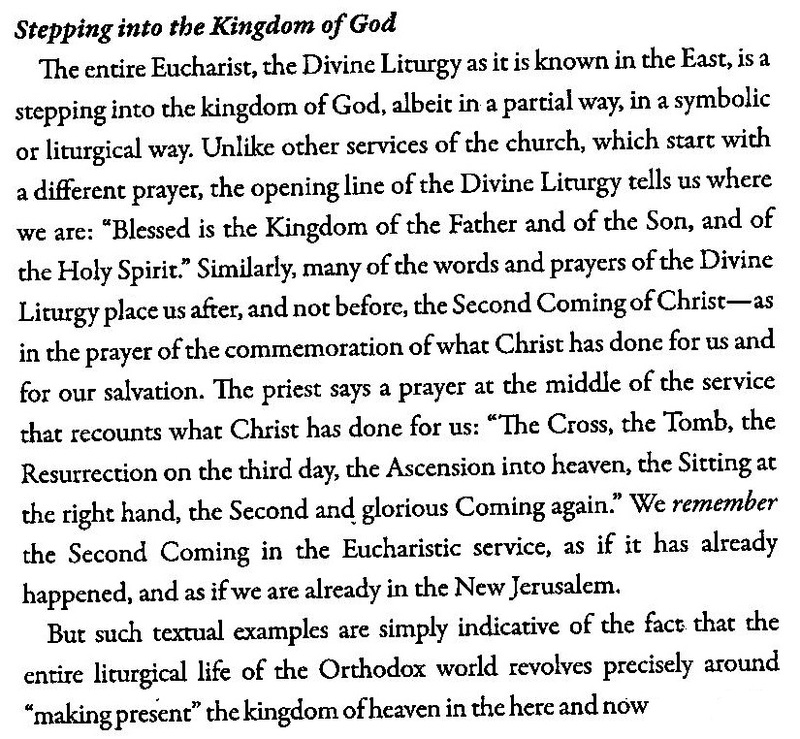 The perspective of he author here is more turned towards ecclesiology and the sacraments, both Baptism and the Eucharist, all pointing to ways of being one with God through the luminous and resurrected Body of His Son. If some Orthodox scholars read these lines, I would like some explanations related to the Filioque: the author seems to contradict himself when on page 38 he speaks of “the double procession of the Holy Spirit, from the Father and from the Son (the italics are his) and in Note 11 (p.139), he says that “the Holy Spirit does not proceed from the Son, but only from the Father). of all the other Christological events in our life. and our continuous resurrection in Jesus Christ. how so we live this transfiguration in our daily life? This entry was posted in Excerpts, Monastic Spirituality, Non-Fiction, Orthodoxy, Quotations, Religion and tagged Andreopoulos, Baptism, ecclesiology, Orthodoxy, Transfiguration by WordsAndPeace. Bookmark the permalink. This looks like a beautiful book. I will have to look it up. 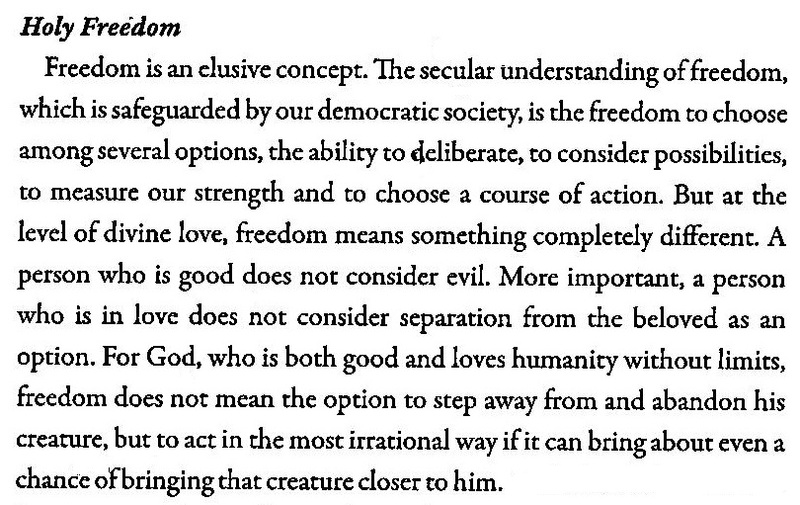 I agree with all that Emma has written here, and I think she has chosen good quotes to illustrate the quality of this book. I, too, have found many passages that stimulate my thinking and my wonder. 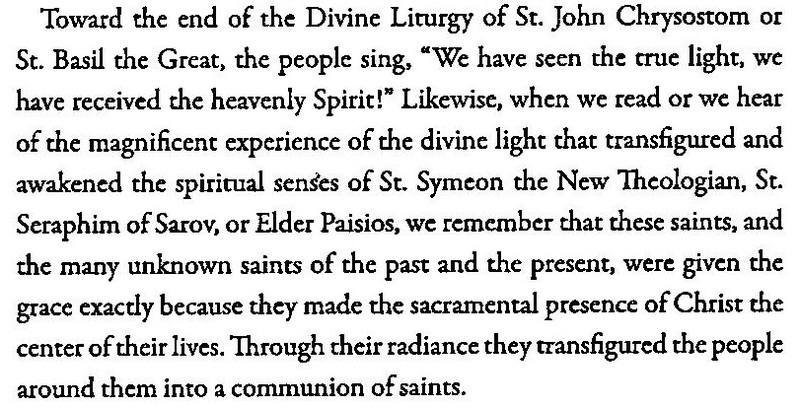 For me, a Catholic, the Orthodox understanding of the church as connected so closely to the event of the Transfiguration (and even the event of Jesus’ Baptism) is very exciting. 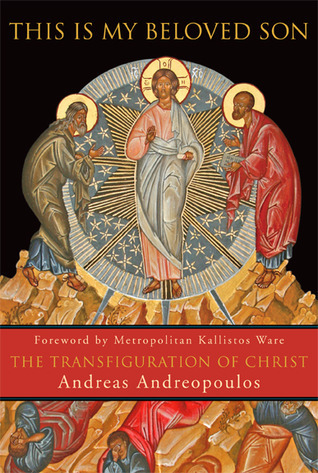 I have the other volume that Andreopoulos wrote on the Transfiguration and I look forward to reading it. However, I have difficulty imagining that it will be better than this — maybe it will offer more specific detail and more examples and more discussion of iconography — but I cannot imagine it being more insightful. I will try to remember to come back and to add to these comments once I have read the other volume to let you know how I found it. The perspective is different, and I have discovered new things on the Transfiguration in his other book that I had not known before. But this smaller book is definitely rich enough!